Solar companies in San Diego and elsewhere have long sold the technology as an investment that pays off for both the environment and pocketbooks. A trio of impending policy changes could collectively change the game. One is a federal rebate facing extinction. Here’s the second one. Your relationship with San Diego Gas & Electric changes when you get solar panels. The utility starts buying power from you, too. Right now, solar customers who sign up for net metering and cover their own power needs are credited for the energy their panels produce at the same rate they would otherwise pay SDG&E. That could be as much as 42 cents a kilowatt hour, the current rate SDG&E charges residential customers in its highest usage tier. But the current deal won’t be around for long, and the new one’s unlikely to be as generous. Two years ago, Gov. Jerry Brown signed AB 327, a law that required state regulators to set new rules by July 2017, or once rooftop solar customers’ power hit 5 percent of the region’s peak demand. Many solar experts expect San Diego to reach that cap well before July 2017. At the end of last month, SDG&E was already two-thirds of the way there. Yet the solar industry and even utilities like SDG&E can only speculate on what the new model will look like. The uncertainty has added some urgency to how solar companies approach potential customers: Go solar now, they say, and it’ll be easier to predict when you’ll pay off the panels and what your new energy bill will look like. That pitch hits at the two big ways solar customers tend to recoup the costs of installing the systems: Rebates help soften the blow of upfront costs (a federal rebate is also facing an uncertain future), and lower energy bills over time help make up costs over the long haul. Customer who get solar panels before the region hits its cap get to stick with the current billing arrangement for 20 years, though future energy rate tier changes or mandated charges could cut into their savings. Advocates fear the changes could give San Diegans less incentive to make the leap. Local solar executives including Daniel Sullivan of Sullivan Solar Power and Mike Teresso of Baker Electric Solar say the uncertainty will become increasingly challenging as the region gets closer to the cap. 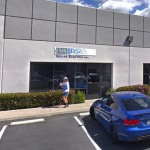 Teresso said his company’s been careful not to fear monger but that salespeople have to acknowledge they don’t know when the current solar billing arrangement will end – or what the new one will look like. “We don’t have clear answers for either,” he said. What he and others in the solar industry do know is that AB 327 requires the state to ensure distributed generation – essentially, power produced where it’s used, like rooftop solar systems –“continues to grow sustainably” and the deal offered to solar customers matches the actual costs and benefits solar provides. The state Public Utilities Commission is in the process of analyzing the value rooftop solar adds to the electric grid and the costs that come with it. It’s expected to release a proposal by the end of the year. The regulatory process allows state utilities, including SDG&E, to weigh in. Utilities have yet to make formal suggestions but SDG&E executives’ comments about the challenges associated with rooftop solar shed some light on what they may propose: a system that’s less favorable to solar customers. In a recent presentation on the topic and a separate interview with Voice of San Diego, SDG&E executive Tom Brill said the challenge comes from the fact that SDG&E gets a surge of demand in the evening – when solar panels aren’t producing power because it’s dark outside. 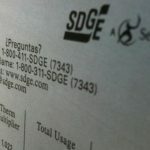 SDG&E has said the current net metering arrangement and requires regular customers to subsidize solar customers. Brill said the cost to serve each residential customer – solar or otherwise – exceeds $10 a month and that it rises along with energy demand. Solar customers add to that demand because their panels don’t produce power at peak hours. The bottom line: Net metering means many solar customers aren’t paying their fair share, he said. Utilities across the nation are making similar arguments. The Washington Examiner reported that measures attempting to curtail net metering had been introduced in nearly half of the 44 states that have it. 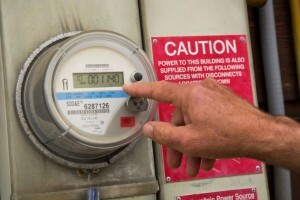 An MIT report released earlier this month urged an end to net metering, arguing that the industry needs pricing systems that shift costs to the customers that are creating them. Solar advocacy groups are adamant that net metering works because rooftop solar is allowing SDG&E and other utilities to buy less power than they’d otherwise need to supply customers – and the power they get from solar customers is good for the environment. Susannah Churchill, West Coast regional director at solar lobbying group Vote Solar, said there’s no need to change a policy that’s played a major role in encouraging investments that benefit the environment. Vote Solar and the California Solar Energy Industries Association, another lobbying group, both argue the status quo works.